Late last night in the Seahawks’ 46-18 win over the Colts, rookie running back Chris Carson was tackled for no gain and ended up twisted down in a pile. When the pile unpiled, Carson’s foot was hanging from his leg at an angle at which feet shouldn’t hang. 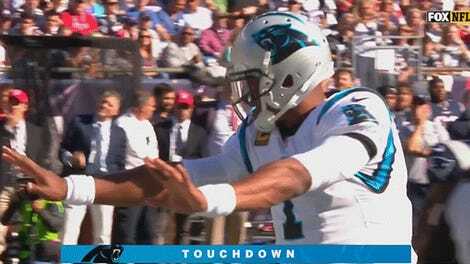 He was put in an air cast right there on the field, loaded onto the cart, and wheeled off, as most of his teammates gathered around the scene. Pete Carroll said after the game that Carson, who had emerged as Seattle’s starting tailback, suffered a “significant” ankle injury, but didn’t know if he will need surgery. And right around here I can guess the rough thought processes of a good number of NFL fans. They’re wondering if Carson will be out long, or might he be out all season—or at least through Week 14, when the fantasy playoffs begin. They’re wondering if Eddie Lacy, his backup, will be productive with increased carries, or if Lacy is going to lose touches to Thomas Rawls. They’re wondering if J.D. McKissic is worth a waiver-wire flyer. They’re wondering if Carson’s early-season success was for real and if he’s worth targeting high in next year’s draft. This monologue on fantasy football and dehumanization was something that had evidently been bothering Sherman a while, given that it was prompted by a question about Carson’s injury that had nothing to do with fantasy. 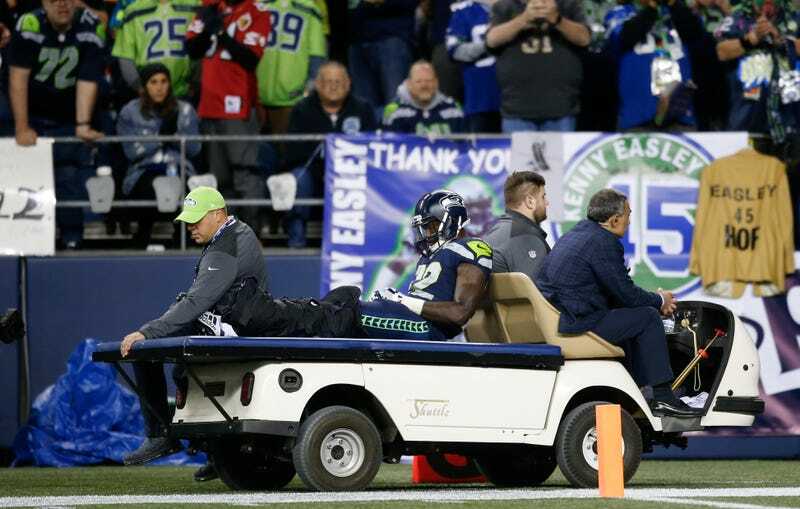 But maybe it was telling that Sherman was asked about an injury to a skill position player, and not about OT Rees Odhiambo, who was taken to a hospital with trouble breathing after a hit to the chest, or DE Cliff Avril, who left the game with a neck injury, or CB Jeremy Lane, who departed with a groin injury. But none of those three players rack up fantasy points. I’m tempted to get defensive here, because Sherman has described me accurately and it’s not a flattering feeling. Sure, I “feel bad” for injured players, but whatever that entails passes quickly and is shunted to the periphery of my thoughts. I think that’s natural—I don’t know any of these players, I only know what they do on the field and how it affects my interests. If I could add one thing to Sherman’s accusations, it’s that I don’t believe this is an effect of fantasy specifically, but one of sports as a whole. Athletes are designed to be interchangeable parts in a machine—in football especially—and we are, after all, functionally rooting for laundry. A good friend is a lot harder to replace than a serviceable running back. Sherman has one more angle for us to think over. It’s not just the injured player whose life is changed.